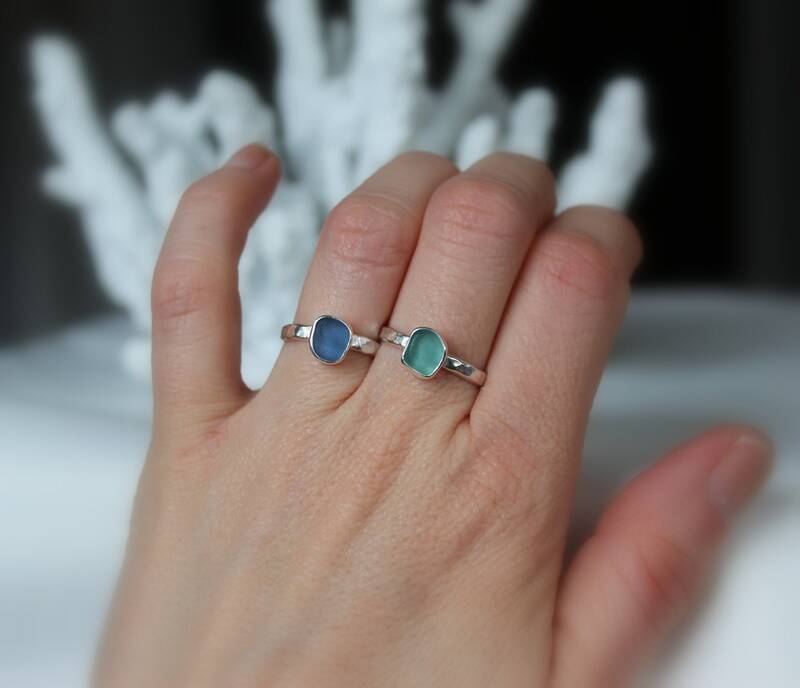 Our Sea Sprite stacking ring is made just for you with genuine beach glass in your favourite sea glass colour. 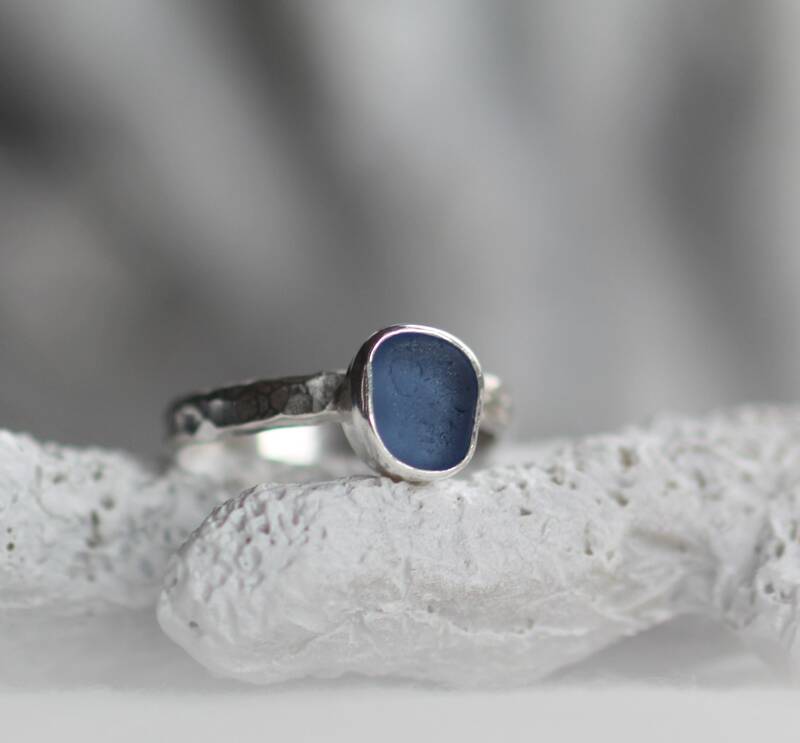 This petite sterling silver ring looks great on its own, or paired with other stacking rings for more impact, a beautiful gift for the woman who loves the sea! 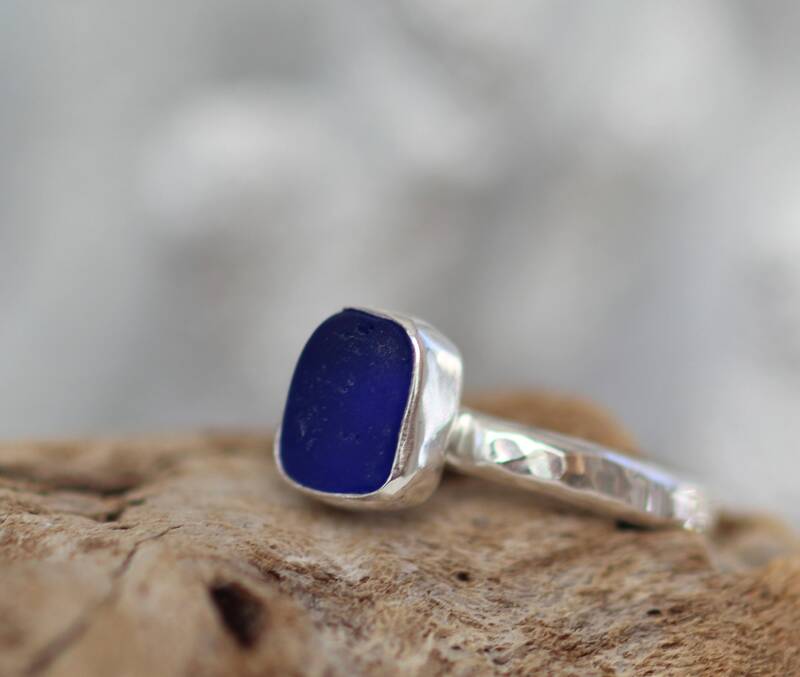 ~The rings are made with sterling silver. 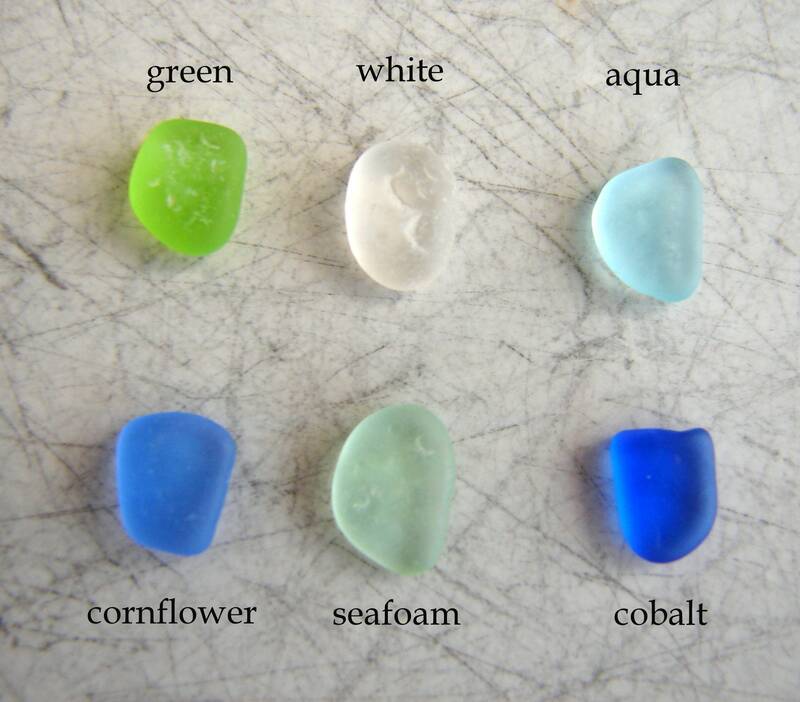 ~ Choose your sea glass colour in the drop down menu- see 3rd photo for colours. 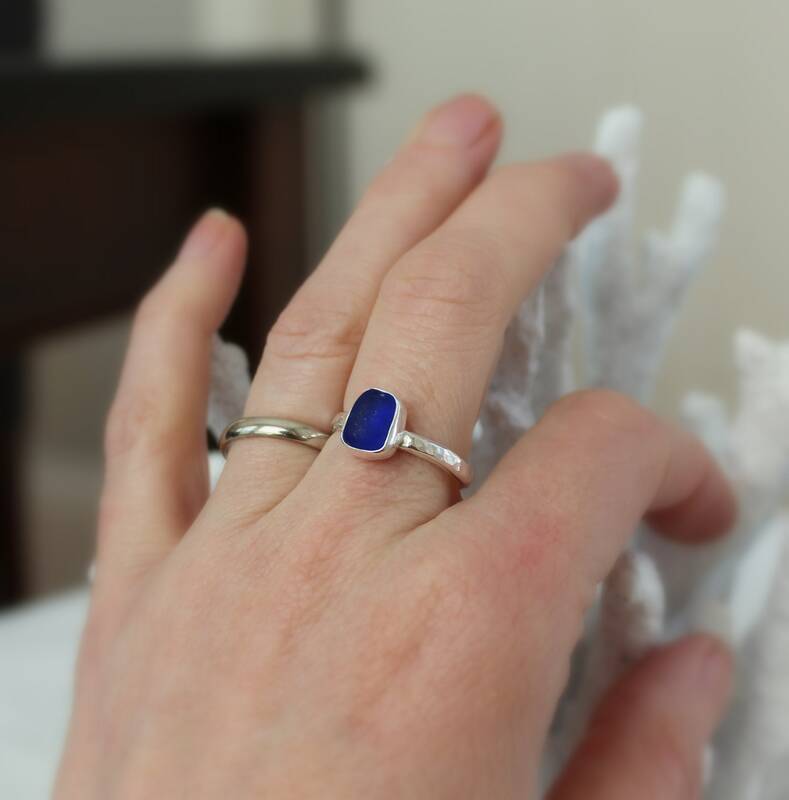 If you'd like a colour not shown here, just let me know and I'm happy to go through my collection to see if I can accommodate you. 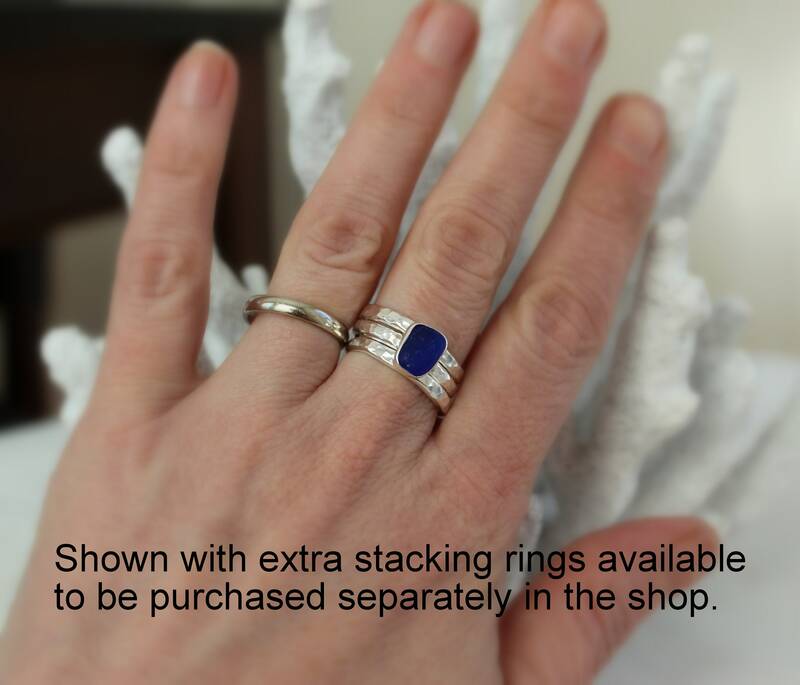 ~ Please ensure you know your ring size before ordering so that you get a perfect fit. 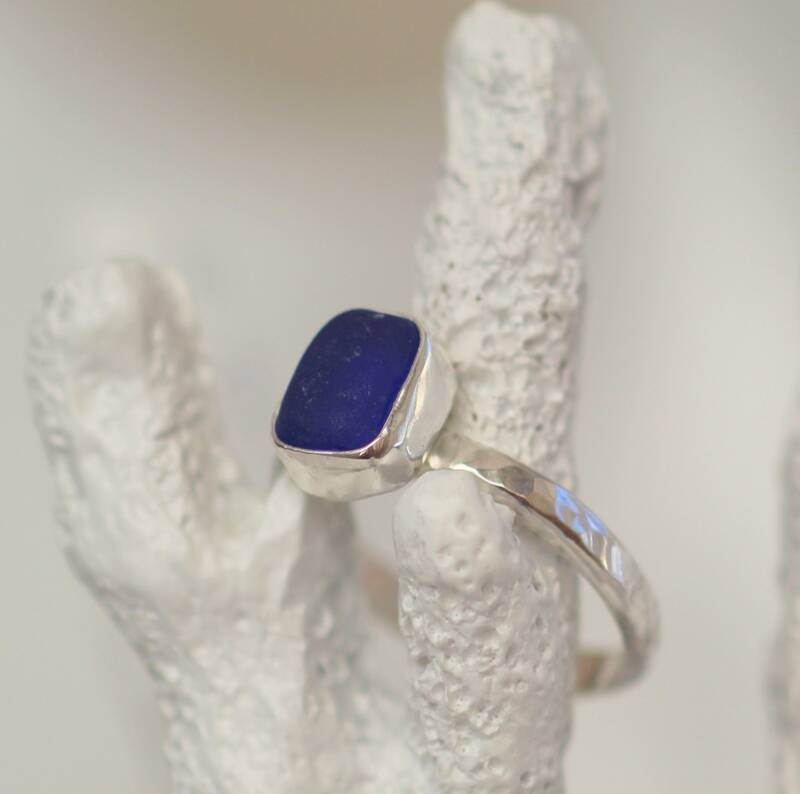 Many local jewelry shops will size your finger for free. 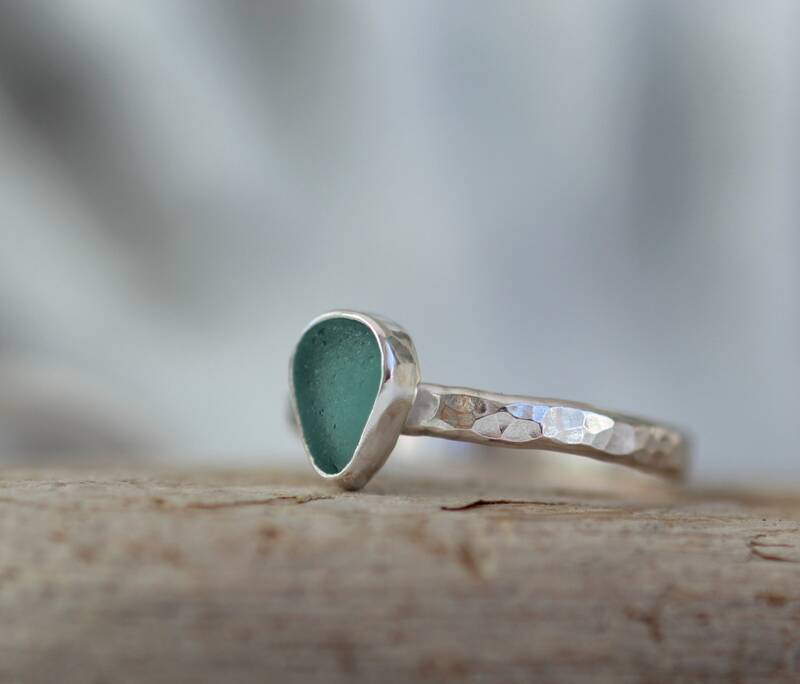 Please allow up to 5 business days for your rings to be created. 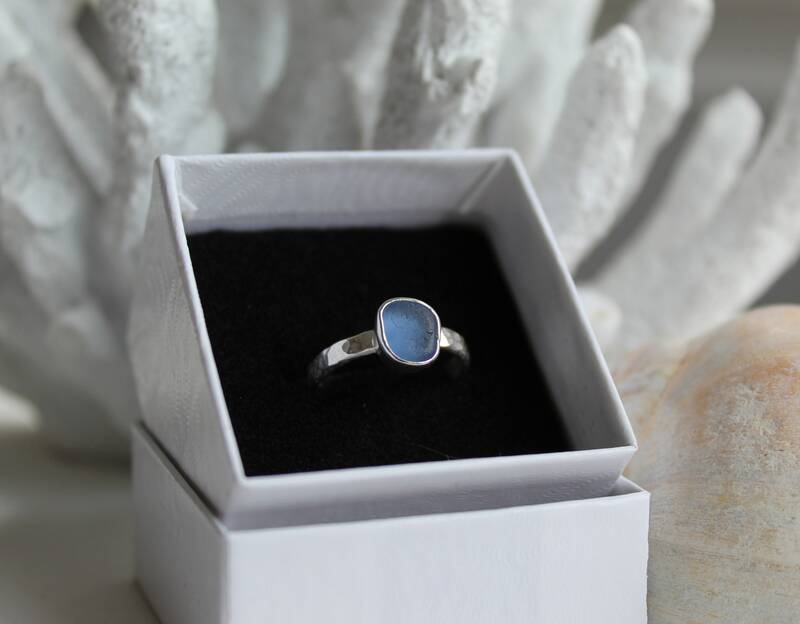 Your Sea Sprite ring will arrive in a gift box with a complimentary silver polishing cloth to help keep your jewelry bright for years to come.